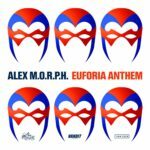 In an era when popular music consumption is characterized by singles and track-driven acquisition, Alex M.O.R.P.H. climbs out on a limb by releasing a meticulously crafted original studio album of 18 tracks created during nearly a year of artistic inspiration. The album title pays homage to the everyday heroes – seen and unseen, lauded and not, large and tiny – who surround us. The album is an ode to the people who comprise the cloth of modern-day society and it is upon them that each of us lean in some way or another, at one point or another, throughout our lives. This is a collection of original music that’s pure trance at its very best. Alex flexes his cinematic muscle by weaving emotionally wrought soundscapes. These expansive, dramatic tunes are filled with soaring major keys and mournful minor chords. 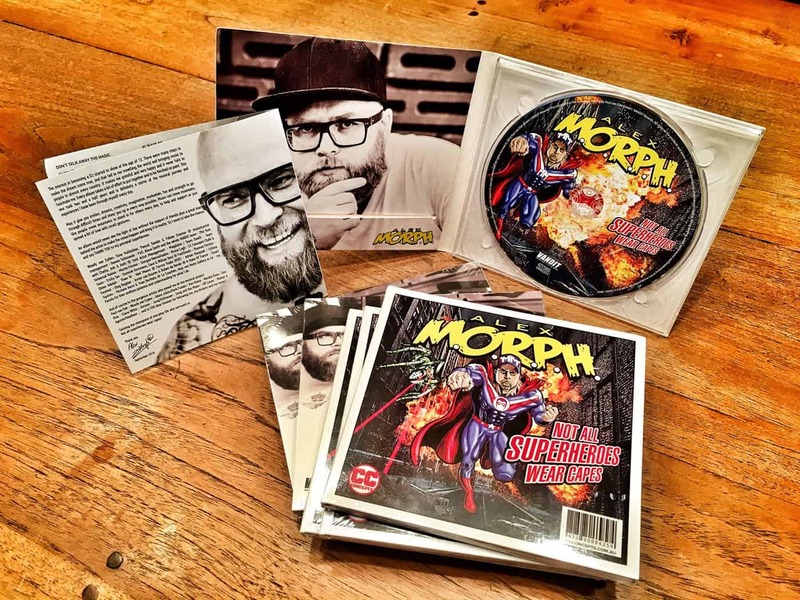 The album has spawned two No.1 Beatport charting hits: the title track, “Not All Superheroes Wear Capes” and “We Are” (together with VANDIT boss Paul van Dyk). Downtempo ballads like “Coming Home” and “Don’t Talk Away The Magic” – the latter the main album single – prove that M.O.R.P.H. is adept at setting the mood even with halcyon songs filled with quiet longing. The swooning orchestral strings on “Don’t Talk Away The Magic” featuring the falsetto of the lead singer from the Los Angeles-area band, Song And The Moon, cast an intangible spell that’s unbreakable. From the chaste innocence of “Awakening” to the suspense of “Eureka,” from the delicate tension of “Meeon” to the unbridled joy of “Astra”, there are no dull moments on this album. 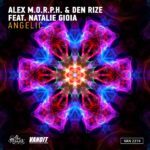 For listeners yearning for that signature VANDIT big-room, festival rockin’ vibe, there’s the energetic positivity of “Sacred Heart” and the sunset-in-Ibiza atmosphere of “Angelic”. Songs hold significance on this album with the instant-classic, “Always Be” and the sugary “Dreamcatcher”. The monstrous 4/4 of “Nitro” comes on like a boisterous, booming heart attack. Blaring synth horns on “R2D2” veer deep into progressive-house territory with an exotic, snarling attitude. 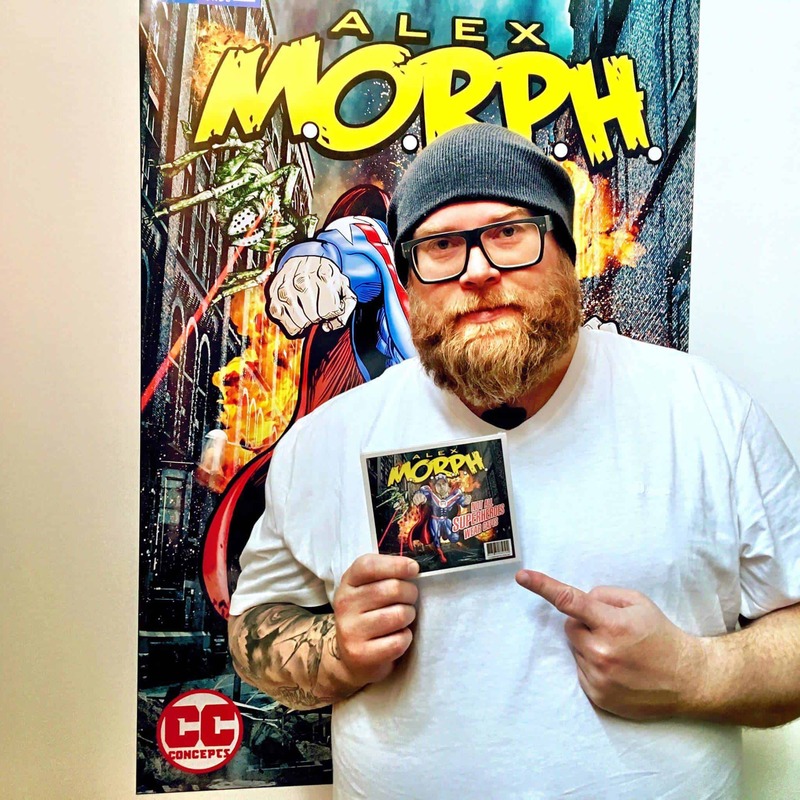 Alex M.O.R.P.H.’s new artist album “Not All Superheroes Wear Capes” is out on September 30th 2016! 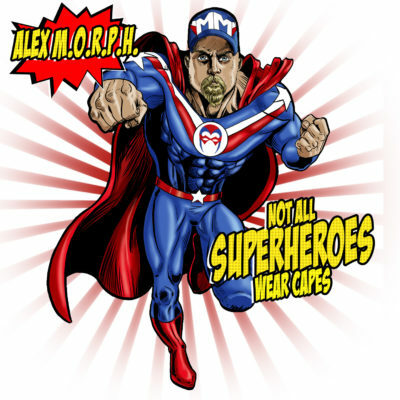 Tagged Aimoon, Alex M.O.R.P.H., Den Rize, Kim Kiona, Natalie Gioia, Not All Superheroes Wear Capes, Paul van Dyk, Tiff Lacey, Vandit Records, Woody van Eyden.